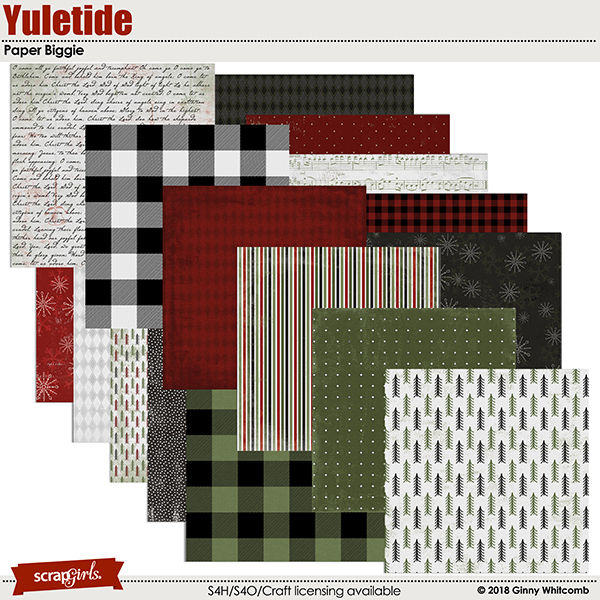 "Yuletide" digital scrapbooking layout using Yuletide Collection Biggie. 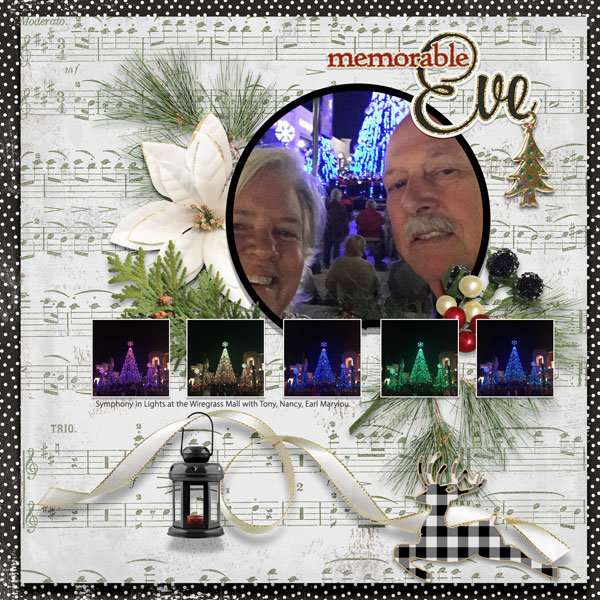 "Memorable Eve" digital scrapbooking layout using Yuletide Collection Biggie. 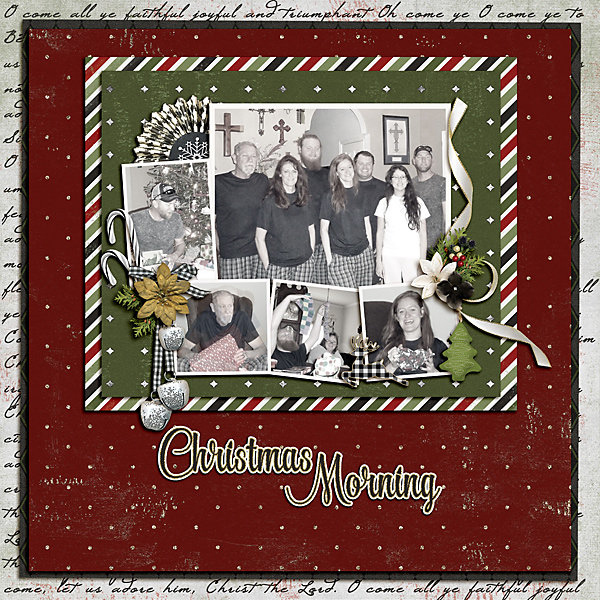 "Christmas Morning" digital scrapbooking layout using Yuletide Collection Biggie. 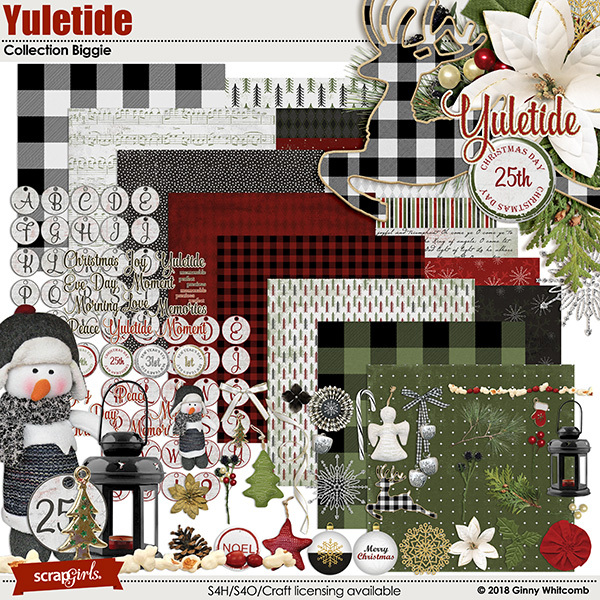 "Christmas Memories" digital scrapbooking layout featuring Yuletide Collection Biggie. 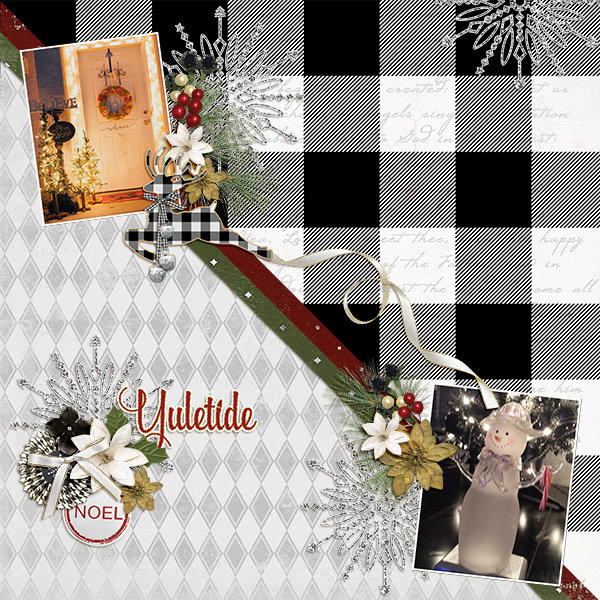 "Love Christmas" digital scrapbooking layout using Yuletide Collection Biggie. 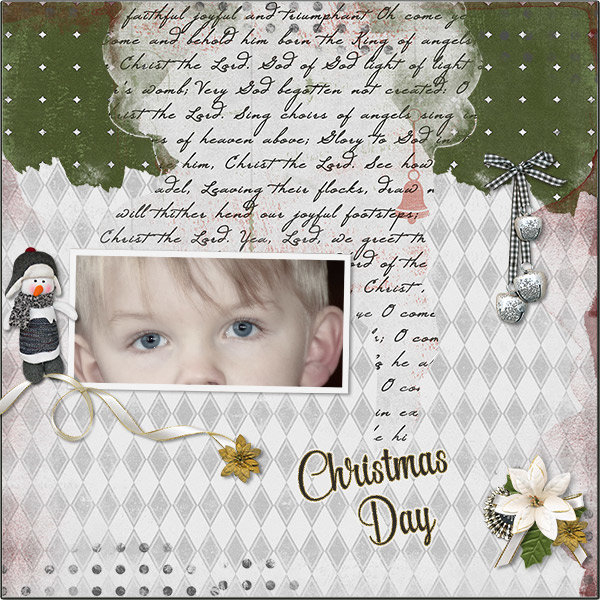 "Christmas Day" digital scrapbooking layout using Yuletide Collection Biggie. 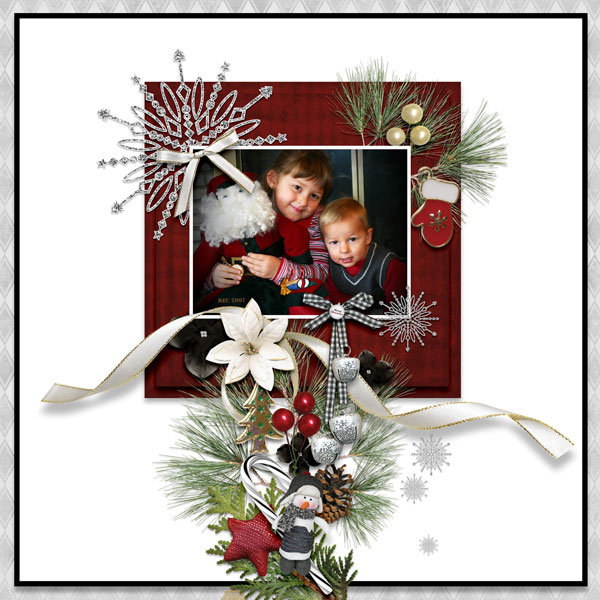 "Perfect Memories" digital scrapbooking layout using Yuletide Collection Biggie. 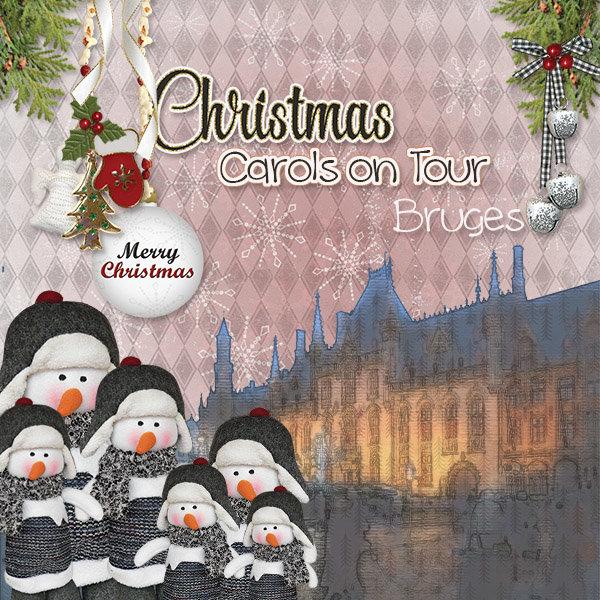 "Christmas Carols on Tour" digital scrapbooking layout using Yuletide Collection Biggie. "Big Eyes for a Christmas Surprise" digital scrapbooking layout using Yuletide Collection Biggie. Celebrate the Yuletide season with this beautiful Christmas Collection. This collection is packed full of warm buffalo plaids and winter themed papers and embellishements. 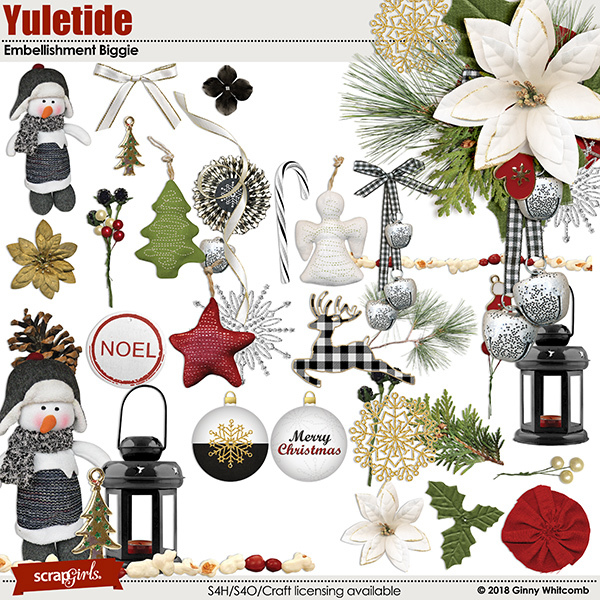 A festive collection for your Christmas and Winter Season projects. Tis The Season is a vintage classic scrapbooking kit that can be used year after year. 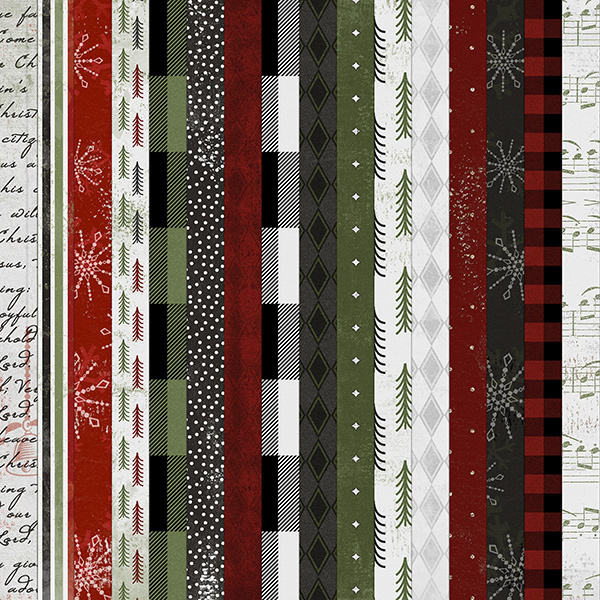 Dark blues, Christmas greens and reds and creamy whites provide the background for this Holiday Collection. Digitally scrap your Christmas Holiday memories and the antics of your Elf with this bright and cheerful collection. It's that Time Of Year! Time to scrap your festive holiday celebration memories. The North Pole Friends Collection provides you with traditional embellishments and papers that are bright and fresh. A subscription to our commercially licensed ScrapSimple Club gets you all of the newest looks from our popular templates line while saving you money! This heritage styled scrapbooking kit, with a "side" of genealogy, is a timeless collection for recording your family history and memories. Perfect for family portraits, creating albums and preserving those special family moments of days gone by. Every page illustrates cutting-edge artistry that helps me take risks in not just how I put the page together, but in taking the photos to go with the kit! Gorgeously arranged embellishments are perfect for the whole effect!